Over time, this half moon-shaped drop earring has evolved into the design pictured above. After a few trial version, I was set on this one for its simplicity, movement, and sturdiness. 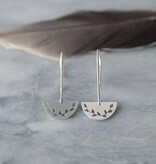 This particular pair is adorned with a climbing vine design. Brushed and polished to bring out the beautiful sheen in the sterling silver. 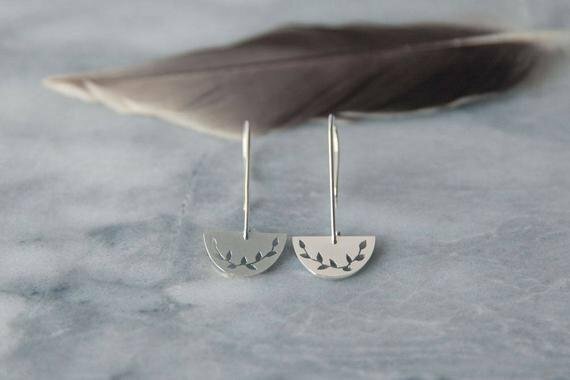 Simple, nature-inspired, and easy to wear. Each pair of earrings are made by hand and may vary slightly from the photographs. Made for you, with love for my craft.